You are here: Home / General Crafts / Gnome Lavender Sachet DIY and 4 Reasons Why You Need This! 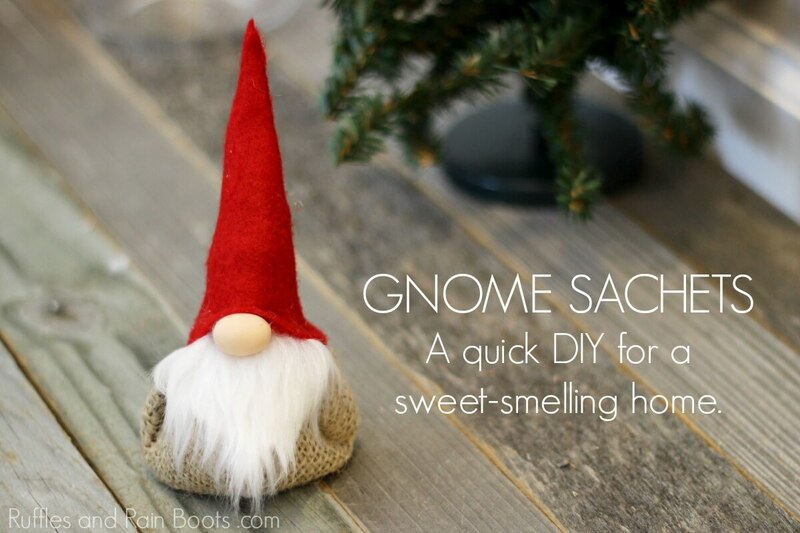 Gnome Lavender Sachet DIY and 4 Reasons Why You Need This! This gnome lavender sachet is adorable, smells great, and is a work-horse in a closet or drawer. It’s a quick craft that everyone will love! Let’s get started. If you’re new to Ruffles and Rain Boots, I’ll let you in on a secret: I love making DIY gnomes. Scandinavian gnomes, Nordic gnomes, tomte, nisser – whatever you call them, they always make me smile. And it turns out, I’m not the only one who wants to add these cuties into their lives! 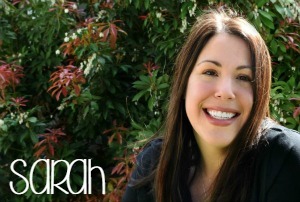 My name is Herchel Scruggs, blogger behind Gym Craft Laundry and the maker behind the popular Hanging With My Gnomies shop on Etsy. 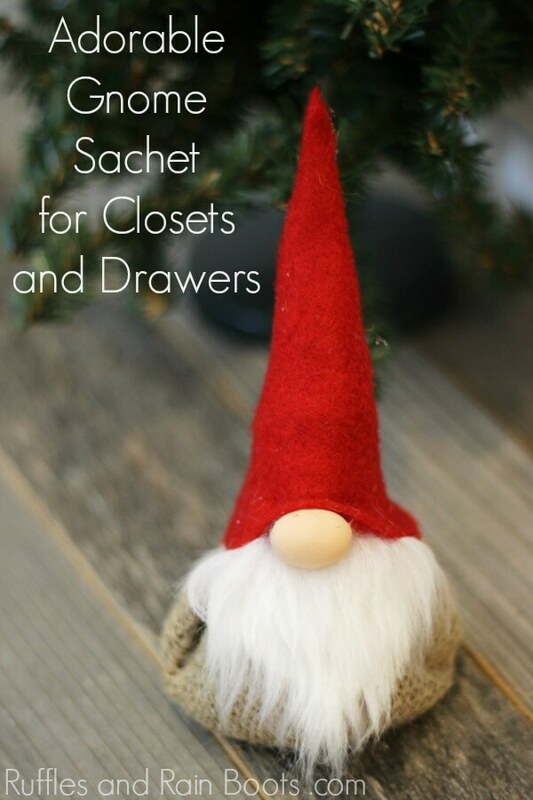 Last summer, my daughter and I adapted Sarah’s Scandinavian Christmas gnome tutorial into a hanging ornament to declutter our craft stash. We didn’t have clay at the time so my resourceful little helper used an Apple Jack (of the cereal variety) for the gnome’s nose. We had such a good time that we went out and bought clay to make a gnome that would last a bit longer and not attract bugs to the tree. You’ll add creativity into your life without turning one of your kid’s rooms into a craft room. It’s an easy, quick craft that can be made with scraps. There’s always room for a sachet because life can be smelly. 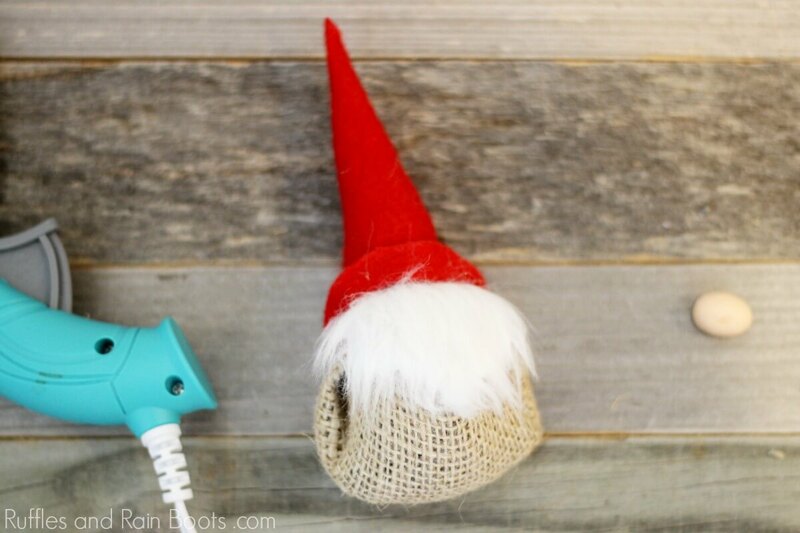 This gnome DIY makes it less so. This works in closets, drawers, and cars. See #2 (life is smelly). No Time to Make It? Buy It or Pin It! You can buy these adorable gnome sachets from the Hanging with my Gnomies Etsy shop here (coupon code Ruffles)! Or, if you’re a DIYer, pin it to come back to when you have the time. Use up your scraps! This is a scrap-busting project, so get creative with the materials. 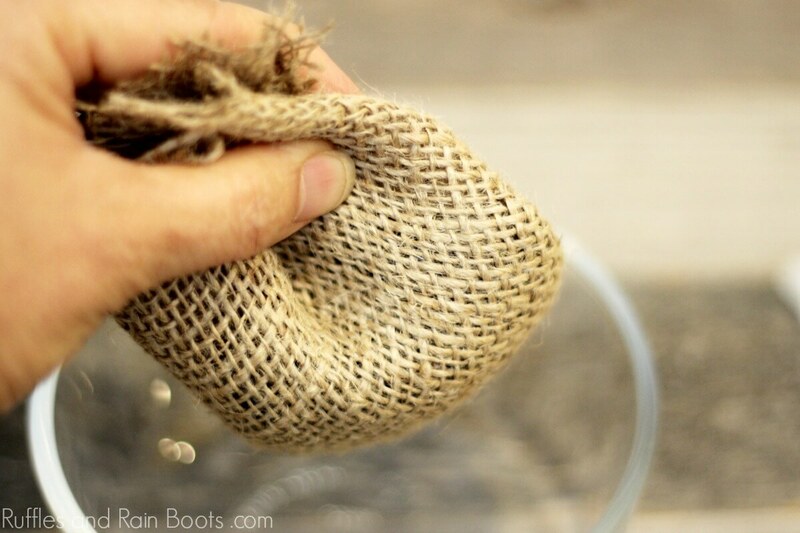 If you have a wide-weave burlap, use a cheesecloth liner so the filling stays in place. When using a flimsy fabric (that won’t hold its shape like felt), stuff the gnome hat with polyfill. You can also scent it with essential oil. 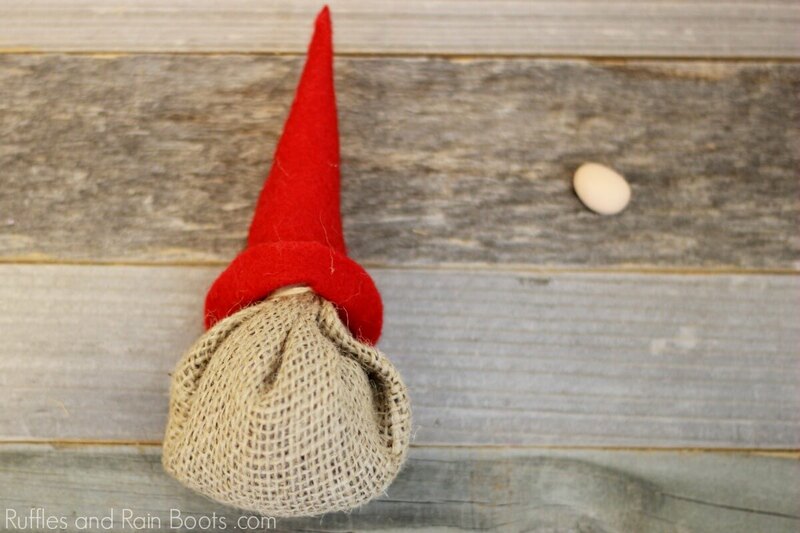 How Do I Make a Gnome Sachet? I’m so glad you asked. :) Here at Ruffles and Rain Boots, we love providing options. 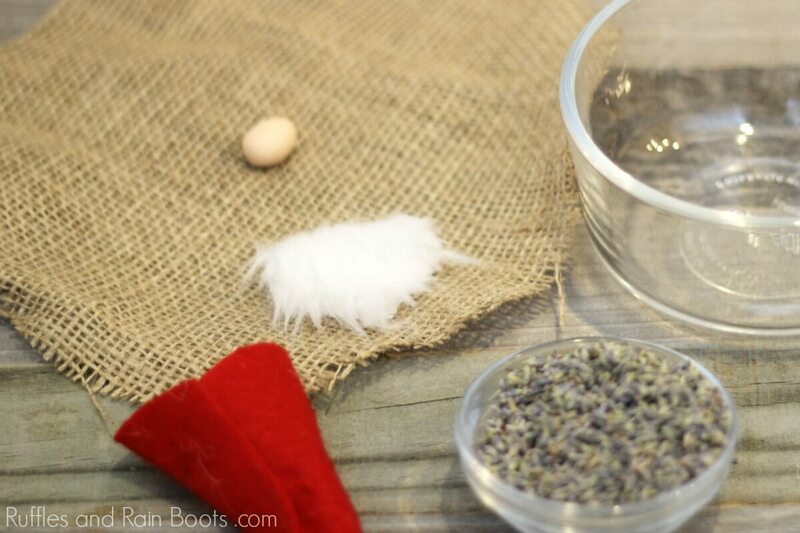 Below is our written tutorial but if you want to add it to your gnome crafts playlist on YouTube, here is our gnome lavender sachet video tutorial. These no-sew gnome lavender sachets are done in no time and are the most adorable deodorizers ever! You'll be done in about 20-minutes, so let's get started. I work best when I have all items cut and ready for use. 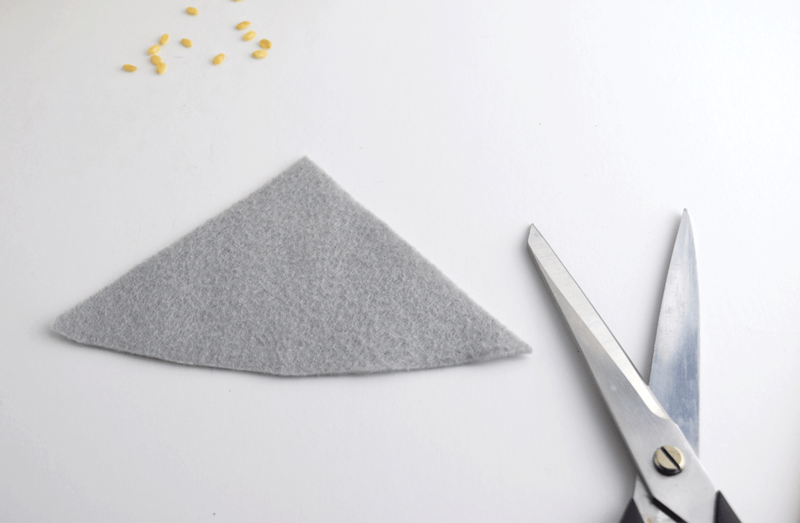 Use the smaller bowl to cut a circle from your craft felt. Trim the sides to form a triangle with a slightly rounded bottom (image sourced from a previous project). Use hot glue to secure the edges to form a hat. Using a razor blade or craft knife, cut the backing of the faux fur into a triangle shape to form the beard. Trace a circle using the large bowl onto the burlap or cheesecloth. This will form the gnome body we will scrunch and secure to hold our lavender. 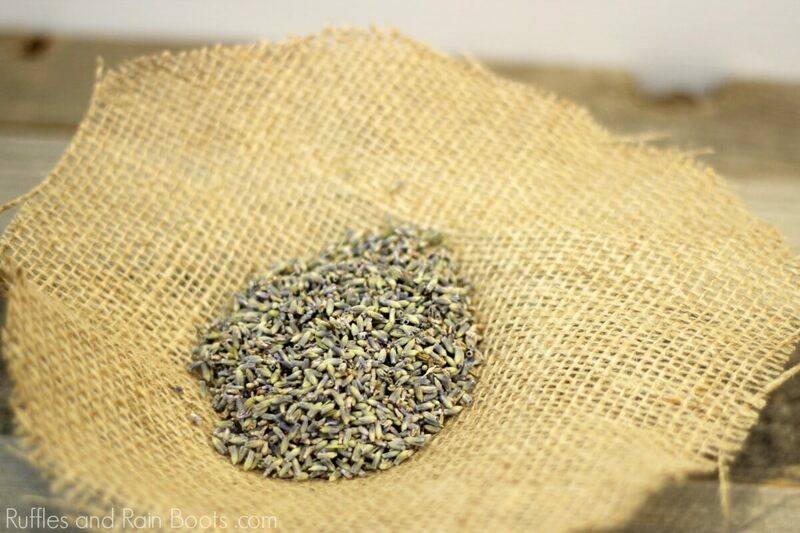 Place the burlap into a bowl and pour in the dried lavender. Gather up the edges of the fabric, pinch together, and secure with a rubber band. Place the hat over the sachet. Add a small dab of hot glue in the back to secure it. Flip up the front brim. Place the faux fur at the bottom edge of the flipped-up brim and secure with hot glue. Glue down the nose and flip the hat back into position (it should slightly cover the top of the nose and the entire top edge of the beard. You're done! Isn't he just the cutest gnome lavender sachet you've ever seen? 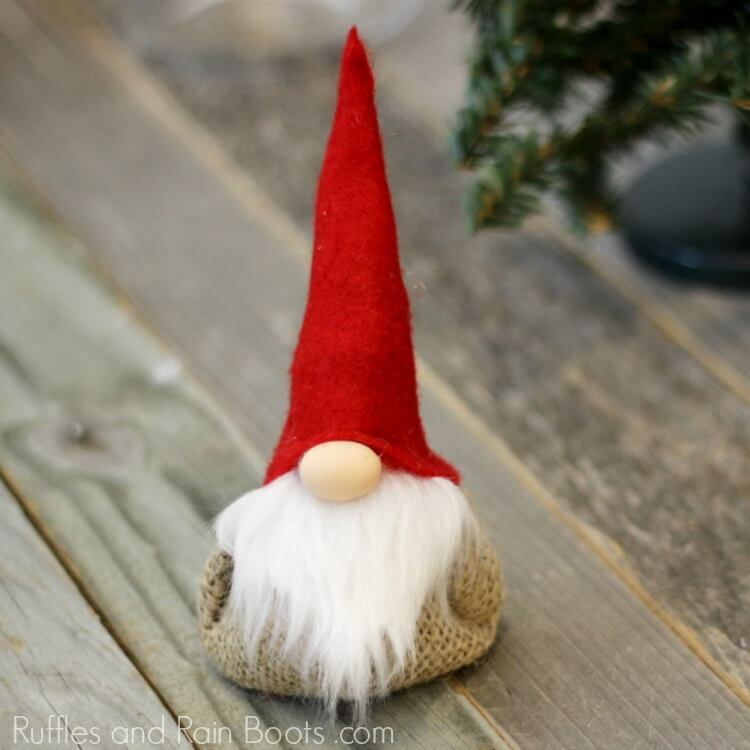 For an insane amount of fun DIY gnome tutorials, visit Ruffles and Rain Boots. To purchase a gnome sachet or adorable gnome ornaments, check out Hanging with My Gnomies here on Etsy. Be sure to get the coupon code Ruffles for an additional discount. Be Sure to Use This Coupon Code! Your shares are how this site grows and I am sincerely grateful. Do you have a local craft group? Share this with them on Facebook and make it your next craft night project!